With a repetitive, rhythmic introduction of Psalm 46:10 ('Be still, and know that I am God! 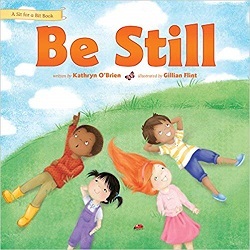 '), Be Still turns Bible memorization from a duty to a delight for children, using the author's unique teaching strategy. This purposeful presentation of Scripture will help children memorize, understand, and absorb passages as the author presents this powerful verse one word at a time, teaching the meaning of each individual word before presenting the entire passage. Be Still builds a meaningful connection between God's Word and a child's life experiences, laying a foundation for a love and comprehension of Scripture. Parents and children will enjoy interacting together over the passage.